This is a portal site "goo (http://www.goo.ne.jp/)" promotional calendar. 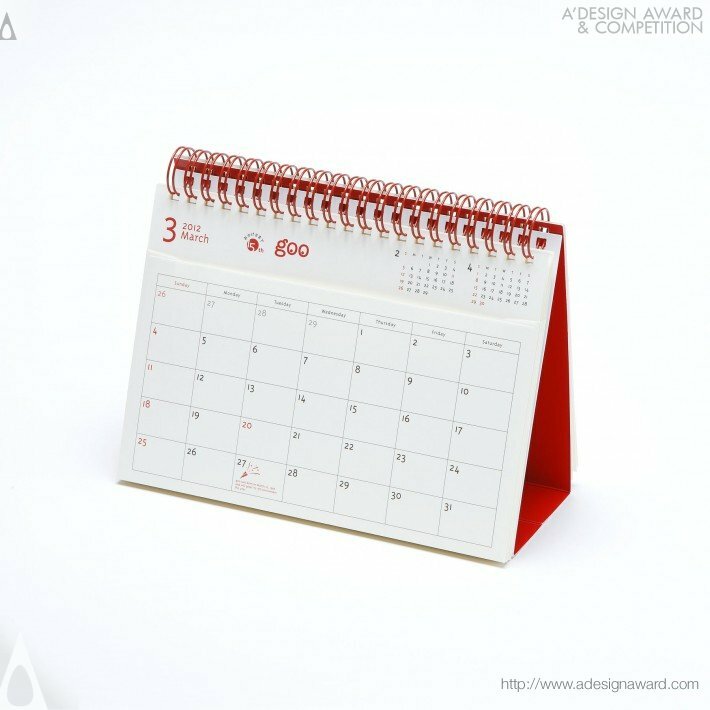 Have been expressed in the past calendar goo "unique" and "playful mind" in addition to full of design, to increase the frequency of use in business, inherent desktop calendar "functionality" has been pursued. 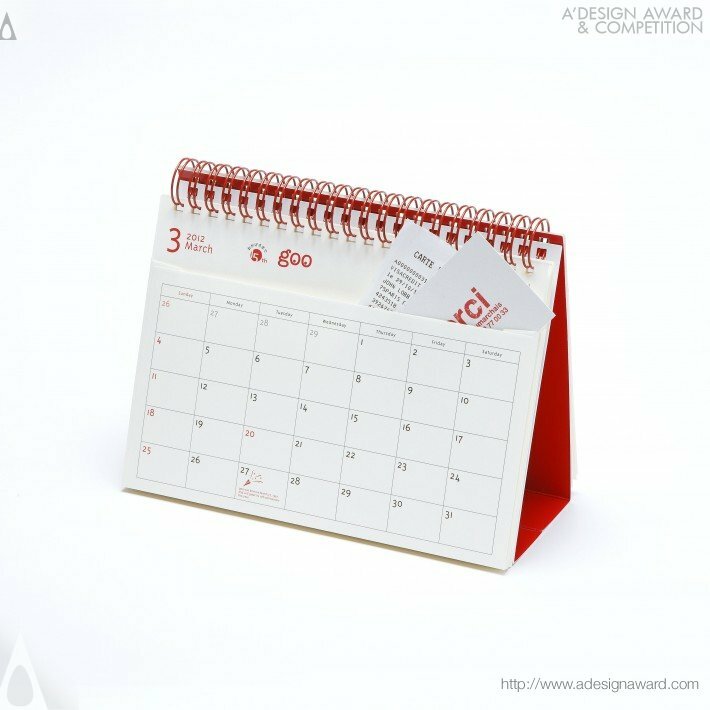 This 2012 edition of "goo Calendar", because that is a bag of the month calendar sheet, rather than just writing a schedule calendar, "receipts" and "business cards" or "Notes" and together with management can be "evolved" is the schedule calendar. 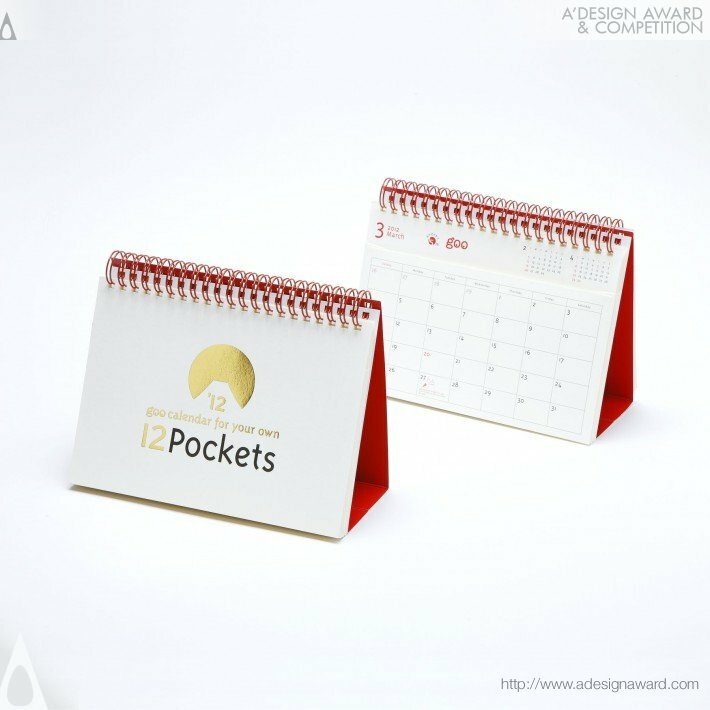 To give you our valued customers to this calendar, receive at your office or home desk around it, “Extremely usable is goo of portal site” 365 days to appeal.